(Left) Guru Paradarami felicitates Baba Gogineni with a shawl. Pointing out that close to 25 crores of people worldwide were immigrants—either economic migrants or refugees—Babu Gogineni said that in addition to traditional cultural stereotypes, the ongoing global information revolution and the movement of people leads to great stress and strain on both the immigrants as well as host communities. When this immigration happens towards the Western countries there is also a clash of values as many Asian and African communities bring their own sense of values and their ideas of social organization, hierarchy, and privilege with them. These imported ideas may be in clash at the cultural level or even be illegal in the new country. Nearly 1.5 crores (15 million) persons of Indian origin live outside the country of their birth and this means they bring with them the rich variety of Indian traditions and cuisines as well as religion and sadly also the caste system and the traditional superstitions of astrology and vaastu. 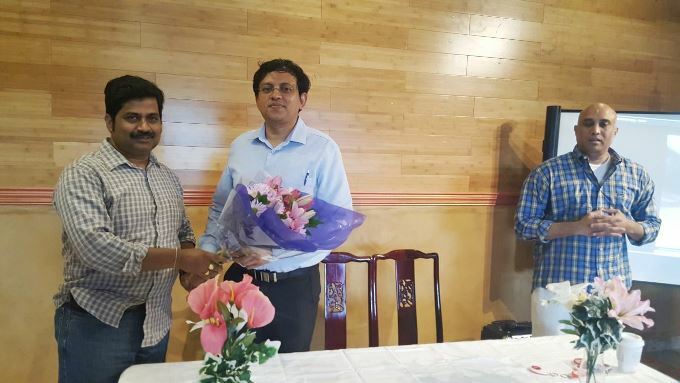 Commenting also on how Indian immigrants socialize, Mr. Gogineni cautioned that social and cultural ghettos were not a solution to the situation. It was alarming that Indian immigrants did not socialize with either the whites or the African American communities outside their professional contexts. Indians were unhappy that Jewish fundamentalists claimed that Israel was the chosen land for them and that the Jewish people were the chosen people. Yet, the Indians were happy to say that Aryavarta was the holy land and that Indian culture was superior to that of the others. Such cultural arrogance is akin to racism and has to be avoided. Claims of cultural superiority especially in a foreign country will at first be ridiculed and soon seen as a dangerous claim. False claims that 70% of NASA space engineers were Indian or that all of modern Western science and technology was contained in the 5,000-year-old Vedas was also similarly false and counterproductive. Further, despite being in the country for several decades, many immigrants are involved more in Indian politics than in local issues. Mr. Gogineni invited Indian immigrants to understand and appreciate the rmodernity of thought in ancient India, to retain the highest in Indian culture like the materialism of the Carvakas, the Lokayatas, the ethical secularism of the Buddhist thinking, but to abandon the backward and false claims on behalf of astrology, vaastu, technological achievements of the past, etc. He reminded that there were false notions of culture being paraded while culture was dynamic and ever changing. Open-minded change and adapting to modern ideas and notions of Human Rights and Universal Values is the path of progress and better integration for Indian immigrants. This is because the Western world went through a period of Renaissance and Enlightenment when a human-centered approach to life and society evolved. This secular understanding and organization led to the formulation of values that were applicable to all, the recognition of the worth of the individual, and the basing of Human Rights on the individual and not on the community or a religion or the notion of God. It is perhaps time for the Indian immigrants to also adopt the path of the Enlightenment, and reduce the role of traditional religion, and eliminate caste in their life, as it interferes with social relations and even the choice of life partners. In addition to all this, Indian migrants need to develop language competence that will also bridge the cultural divide that currently exists. Shankar Reddy Gandra with speaker Babu Gogineni and Ram Gangaraju. 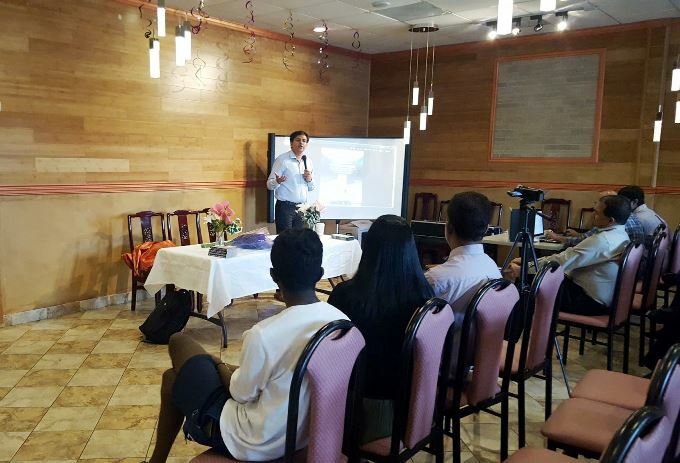 The meeting was organized by South Asian Humanist Association (SAHA)'s Organizational Development Secretary Ram Gangaraju with the help of Greater Atlanta Telugu Association (GATA) President Guru Paradarami and American Telangana Association's Board of Trustee member Shankar Reddy Gandra. Studied Master's Degree in Sociology at Osmania University, Hyderabad.